WMLL will be conducting three free winter softball clinics for WMLL players of all ages, their friends & other interested girls. Each clinic will cover hitting, throwing and fielding, and will include drills, friendly competition and fun activities. The clinics will be held on February 17, March 3 and March 10 from 1:00 to 2:30 PM at an indoor softball training facility located at 5816 Manufacturers Drive (about 3 miles north of MATC). 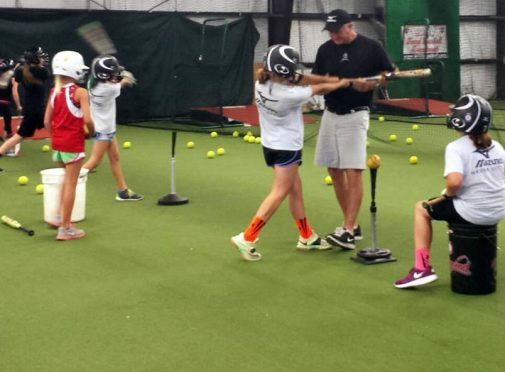 Players can attend as many, or as few, of these clinics as they like. While advance registration is not required, please provide a tentative RSVP HERE for planning purposes. You aren’t committing to sessions, so consider responding right now with your best guess. Please have your daughter at the facility and ready to go by 1 PM. She should wear gym shoes and active clothing and bring a glove and a water bottle. Bats will be provided, but players may also bring their own. Contact Greg Newman (hello.newmans@gmail.com),Barry Vredenbregt (badams@madison.com) or Brian Beutter (brian.beutter@gmail.com) if you have questions or are willing to help out at a clinic.